The Sleeping Beauty DVD has just come out of the vault and to celebrate my favorite movie being released I took my #DisneyBeauties shopping at Walmart for some fancy princess gear. 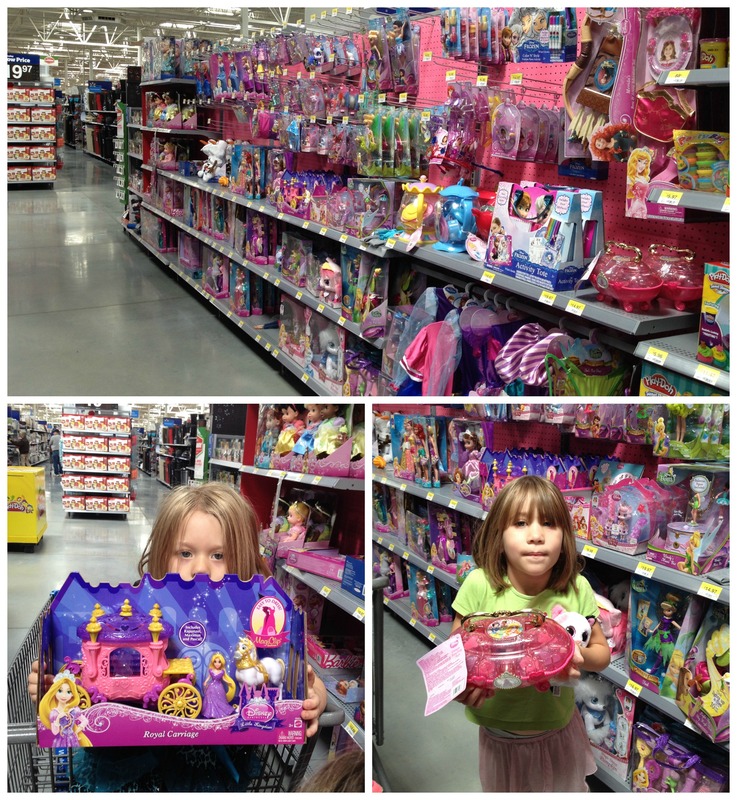 They had fun marveling at all the goodies available, a whole aisle of princesses, what little girl wouldn’t be in heaven. It took close to an hour, but they finally found their perfect princess accessories. 2 of my girls got the princess make-up kit and couldn’t wait to put on their princess dresses that I made for our trip to Disneyworld last month and get all dolled up for a princess movie night. 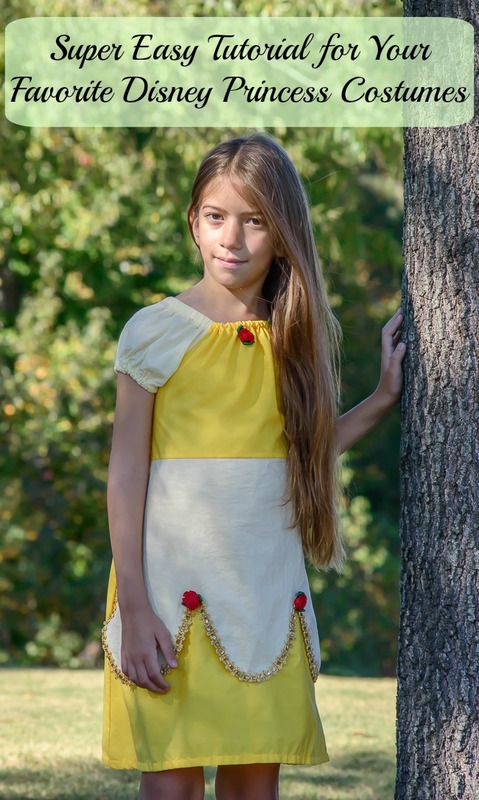 Every princess should have a beautiful dress that she can wear anywhere, so I came up with a simple dress that can be adapted to any of your favorite Disney Princesses. 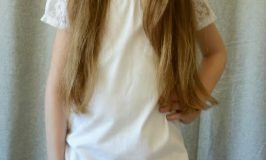 I’m excited to share this easy peasy tutorial for making cute, comfy princess dresses for your little girl. The best thing about these dresses are that they are comfortable, easily washable and absolutely adorable! Of course we had to make a Sleeping Beauty dress first. To get this look use a dark pink and light pink fabrics, in this case our light pink had some sparkle to it so it made it extra princessy 🙂 the extra step here is to add triangles in the lighter pink when you attach the bodice to the skirt piece. To make the triangles, cut 8 triangles from the light pink fabric. Sew 2 triangles together, right side together, leaving a 2 inch opening for turning. Turn right side out and then press. 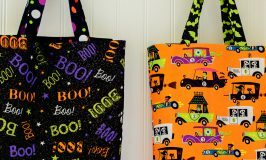 Do this with the remaining fabric until you have 4 finished triangles. Pin to the skirt pieces before attaching to the bodice. See! 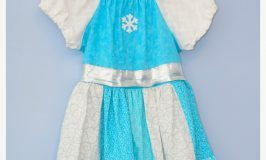 Such an easy modification to create a beautiful princess dress! Next on our list was Cinderella. To create this look we used 2 shades of blue, then cut a curved panel for either side. I didn’t use a pattern on this one, just kind of winged it on a sheet of tissue paper until I got the look I wanted. Once you have that pattern, cut 4 pieces of light blue fabric. Sew 2 pieces together, right sides together, leaving a 2 inch opening for turning, turn and then press. Pin to the skirt before attaching the bodice and skirt together. Voila! Next we did my 6 year olds absolutely favorite princess, Tiana. Creating Tiana was a bit more difficult since I had to add a triangle to the bodice, but still pretty easy. 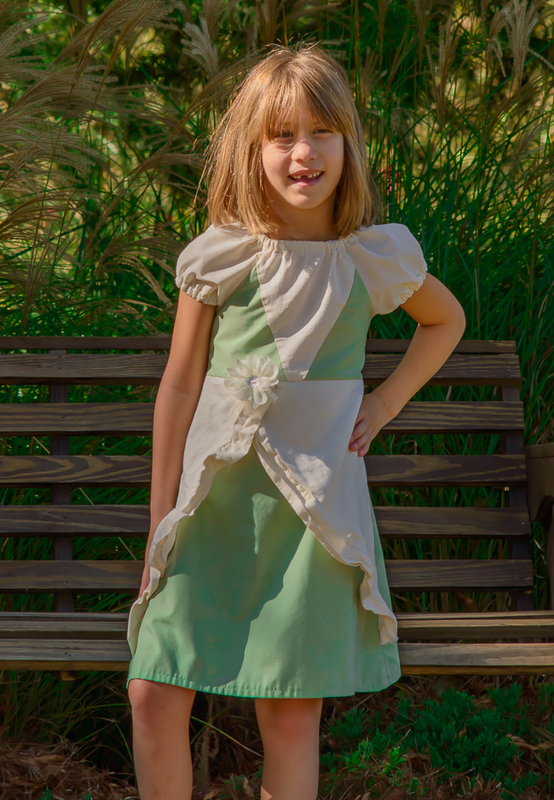 First you will need an off white fabric and a pale green fabric. Cut a triangle from your off white fabric then lay over your green bodice piece, so that the point of the triangle is pointing down cut the green bodice piece along the triangle, but make sure that you leave at least 1/2 on either side of the green fabric to overlap for the seem allowance. Sew one side of the triangle to the bodice piece, right sides together, then repeat for the other side. 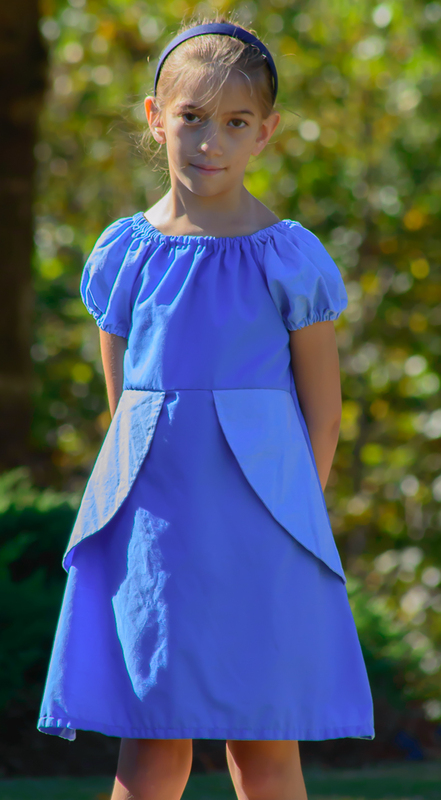 To create the ruffle skirt, take your green fabric and cut 2 curved pieces that will fit on the sides of the skirt (like we did for Cinderella, but only 2 pieces), then cut a green strip of fabric that is twice as long as your curved edge and 5 inches wide. Fold in half and press. Gather and pin to the curved edge. stitch together with right sides together, repeat for the other side. Pin to the skirt piece before you sew it to the bodice. Add an off white flower to complete the ensemble. 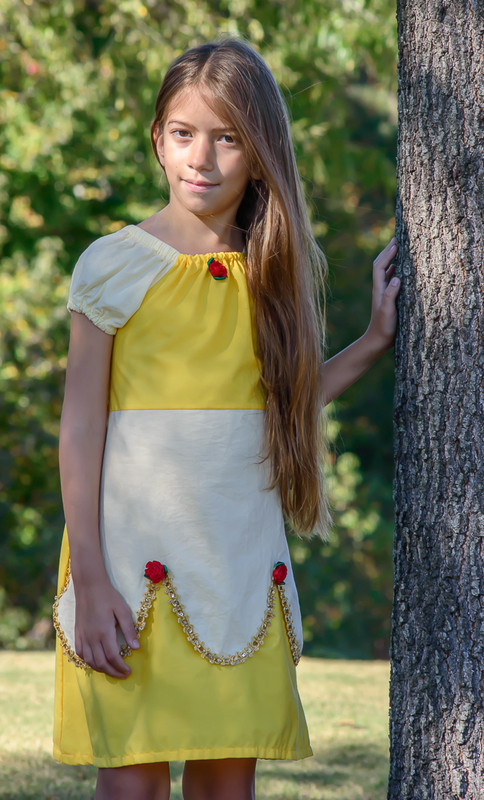 Last we made a Belle dress, my 7 year olds favorite princess. This was my favorite to make and turned out perfect! You will need 2 different shades of gold fabric. Again I just winged it on the scallop piece for the bottom, it took a couple tries to get it right, but I finally did. You only need to cut one of these pieces. After your piece is cut, place gold trim on the bottom of the scallop piece with fabric glue. You can sew it, but I found the fabric glue to be easier and it works perfectly. Once the glue has dried, pin to the skirt before attaching to the bodice. 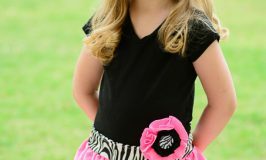 Embellish with a few roses to complete this adorable dress. 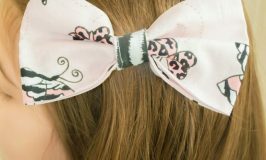 You can adapt this pattern for any of your favorite princesses with just s little creative thinking you can have a closet full of Disney Princess costumes! 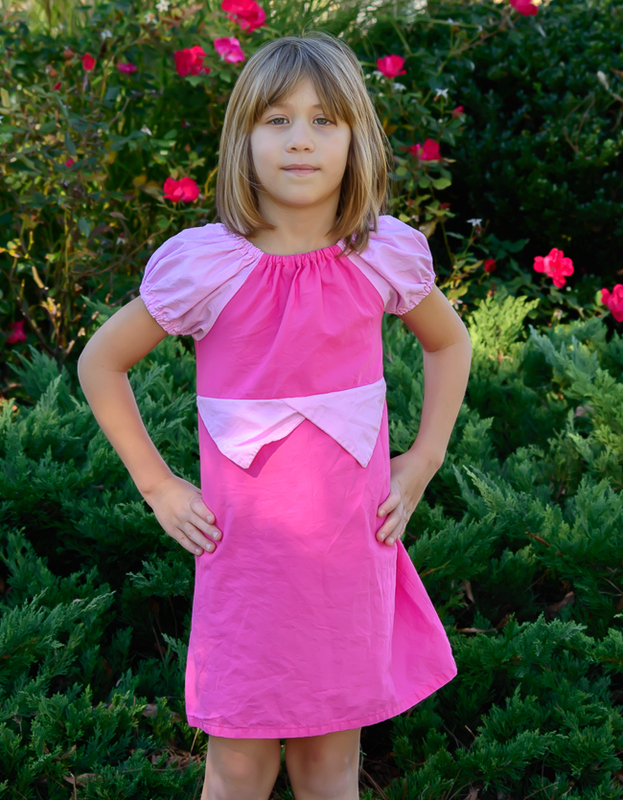 Best part of these dresses is they are perfect to play in all day and are machine washable!